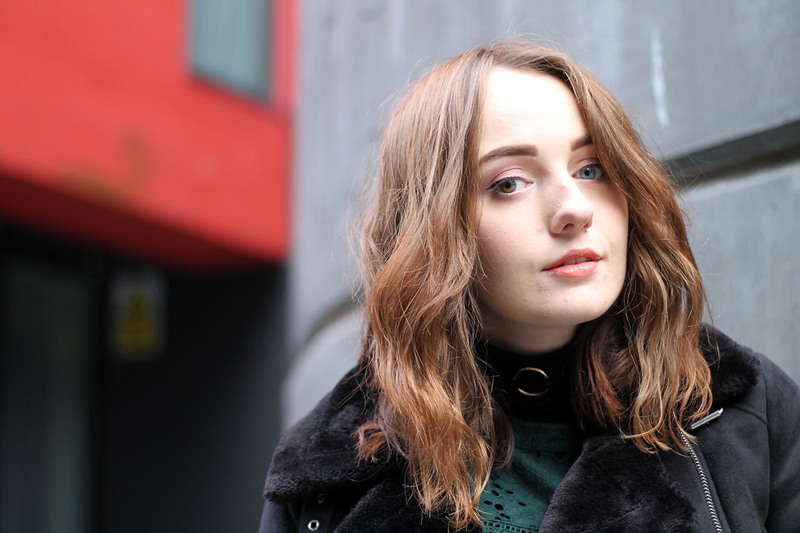 I would just like to point out that it was literally freezing outside and blowing a bloody gale when these pictures were taken, which explains this moody looking picture and my hands looking red raw. That's commitment, from both me and Beth who took these pictures in such hostile conditions. But besides the moody looking hair shot, I really like this outfit. Something about this shade of green works really well with this silver bag and my beloved snake print ankle boots. 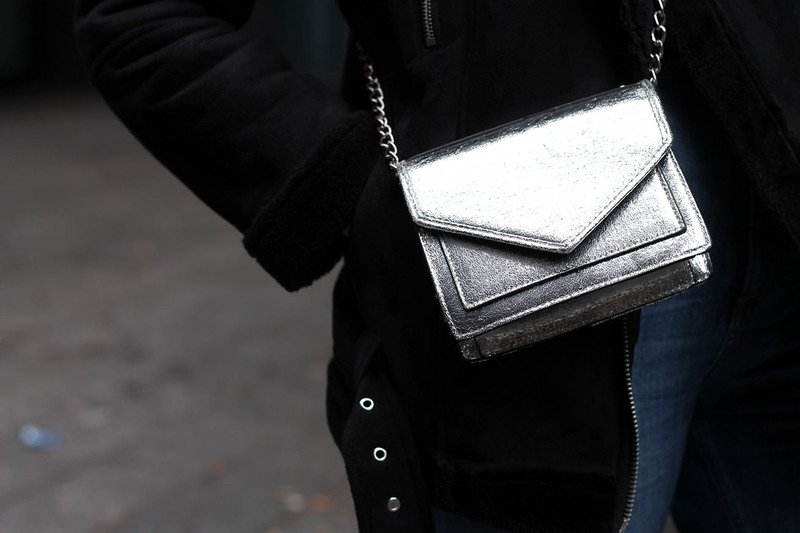 You might remember this bag from my New Years Eve outfit post, where I was equally as cold. And yep, I'm still rocking this Topshop biker style coat, which I've worn almost every single day since the day I got it. I don't care if everybody and their dog seems to have one of these (omg how CUTE would a dog look in one of these?! ), I love it. Quick! 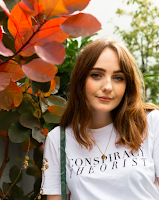 These Farleigh jeans are in the sale, and you guys know how much I love them (if not, read all about my obsession with them in this post), so get them whilst you can! What accessories are you loving right now? And how are you keeping warm in the cold? 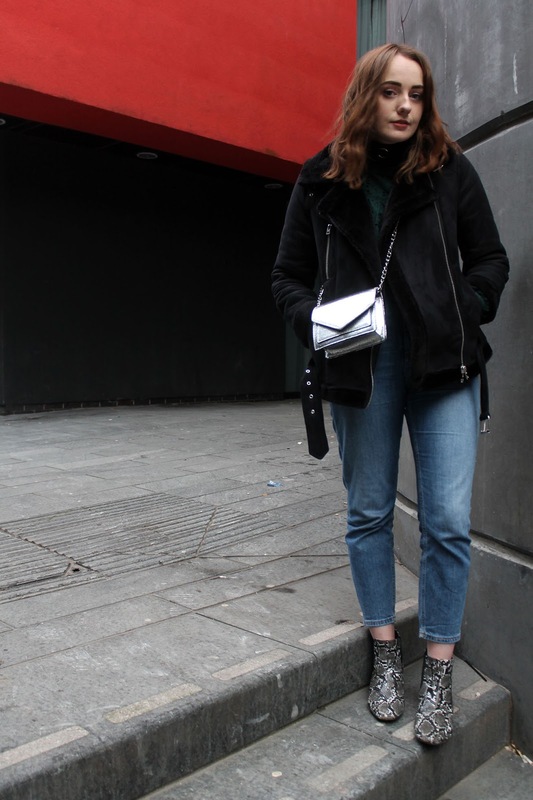 I've been trying to break my way out of the 'jumper and jeans' rut lately, and whilst I'm still technically doing this, hopefully you agree it's a little more dressed up with the touch of silver and snake print ankle boots.